Valentine's Day is now only a couple of weeks away, so it's maybe time to start planning what you'll be doing if you're celebrating with someone special this year. 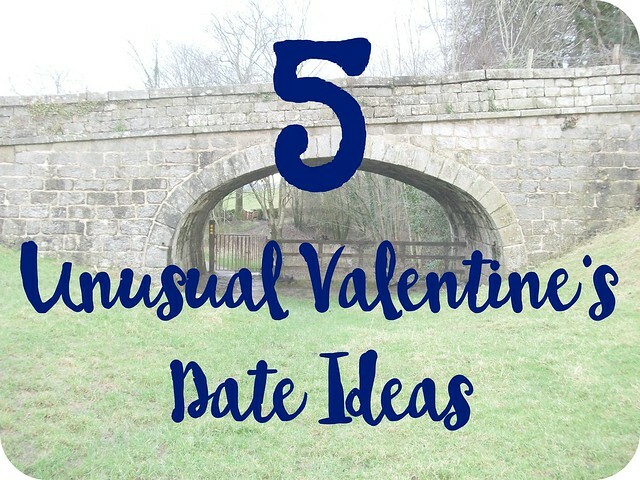 You can have a peek at my ideas for unusual Valentine's gifts, and today I've got a few suggestions for unique dates - because let's face it, going out for a fancy meal isn't everyone's cup of tea, and sometimes it's nice to broaden our horizons and do something a bit outside the box! Visit a museum: Have a look round your local area and see what museums there are - there's something to suit most interests, so you should be able to find something that you'd both enjoy! I love a good museum; personal favourites include the Museum of Science & Industry in Manchester, the Cumberland Pencil Museum in Keswick (sadly currently closed after the floods, but should be re-opening in March), and the Maritime Museum in Lancaster (also closed at present following the floods). Hat Works in Stockport is definitely on my to-visit list (a museum full of hats?! What could be better?! ), and The Rum Story in Whitehaven. Try something new: Always wanted to learn how to ski? Fancy trying your hand at pottery? Why not search for classes or taster sessions in your area and have fun together trying something neither of you have done before - you never know, you might find a new favourite hobby that you can enjoy together for a long time to come! Cook together: This probably isn't that unusual for a lot of people, but I think it's a nice alternative to going out on Valentine's Day - and will save the hassle of trying to book somewhere! Find yourselves a fun new recipe to try, or an old favourite, get in some decent ingredients and maybe a bottle of something nice to go with it, and spend an evening cooking up something delicious. Get active: Valentine's Day doesn't have to be about indulgences! Get out and about doing something active, whether it's going for a walk, a little bike ride, or something a bit more extreme like Go Ape - if it's not your usual date of choice, you could just be onto a winner! We all know how exercise releases endorphins which make you feel good, so what could be better than feeling good with a special someone!? Volunteer: There's nothing quite like making yourself useful! This one might take a bit of planning and looking around for something you want to give your time too, but everything from local sporting events, to charities, can make for a fun volunteering experience. I volunteer a fair bit and really enjoy giving something back to the community. You might try local nature reserves, hospitals, or schools - get creative! What's the most unusual date you've ever been on? Do you have any suggestions to add to my list? What will you be doing this Valentine's Day? We had a picnic on top of the Effiel Tower. I like the idea of cooking together! The other ideas are great too. I have a few Valentine's day post on my blog as well, and I'd like for you to check them out if you will.